Vocational Education and Training (VET) at NIDA provides diploma level qualifications in core NIDA capabilities: theatre, film and television. Courses are intensive and practical, providing pathways to employment or to further study. Course content is created through consultation with practitioners and industry experts. NIDA’s Vocational Diploma of Screen and Media (Specialist Make-up Services) prepares you for a range of roles in makeup, hair and special effects for theatre, film and television. NIDA’s Vocational Diploma of Musical Theatre is an intensive year of practical study that will elevate you to become a ‘triple threat’ – singer/dancer/actor. 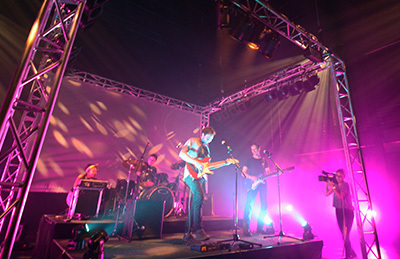 NIDA’s Vocational Diploma of Live Production and Technical Services prepares you for technical roles in the live production industry, including theatre, dance, opera, concerts, functions, ceremonies and events. NIDA’s Vocational Diploma of Stage and Screen Performance is a foundation program that equips you with the skills you will need to perform in live and recorded works, and to collaborate with others in creating original works. Vocational Education and Training (VET) students are governed by a range of policies and procedures. Find out about student loans available to VET students.